It was a rare night of joy for the Everton fans as they saw their team get back to winning ways against one of the “Big Six” sides in the Premier League. The Merseyside club scored twice in the second half against Chelsea via Richarlison and Gylfi Sigurdsson as they brought up a memorable victory in their own backyard. The Blues went into the attack from the word go and pressed hard for the goal, but the Toffees stayed resilient. Their hard work paid off in the first half as Chelsea could not breach their backline, thanks to some superb work from Jordan Pickford. Marco Silva’s men struck twice on the counter to make Maurizio Sarri’s position even more insecure at the helm of the west London club. Here is how the Everton players were rated from their win against Chelsea. Brilliant and fearless goalkeeping from the Man of the Match. Kept the opposition strikers at bay with some fine saves throughout the match and left the field with a well-deserved clean sheet, reinstating himself as one of the best goalkeepers in the league after a disappointing outing against Newcastle United. Got the ball up the pitch whenever the opportunity was there. Played link up with Richarlison beautifully to find openings and get into the box. A dogged display from the Englishman as he kept the likes of Higuain and Barkley at bay with his excellent tackling and interceptions. Cooled down the pressure with some excellent clearances. Made some brilliant tackles to dispossess Pedro on a few occasions. Looked like a threat in the Chelsea box from set-pieces but could not find the back of the net. Looked subdued in the first half as Hazard got the better of him on a few occasions. Did well to get the ball into the danger area with his passing. Almost burnt Kepa’s hands with a thunderous effort from distance in the first half. Looked feisty as he went into tussles against the likes of Jorginho and N’Golo Kante and won most of the balls to retrieve possession. Kept nudging the ball around in the first half to open up spaces in the midfield. Made some very good interceptions to break down the Chelsea attacks before building. Sat a little deeper than usual in the first half to nullify the Chelsea attacks. Went ahead with pace and vigour in the second half to initiate attacks on the opposition goal. Placed the ball in the back of the net on the rebound after Kepa saved his spot kick. Deceived the Chelsea defenders with his sublime footwork and classy skills. Played the ball into the box quite a few times after working up openings only to see no one taking advantage of them. Was tackled viciously throughout the match by Alonso and Jorginho but they failed to keep him quiet. Started making runs into the Chelsea box with the ball in the second half and tormented them with his classy footwork. Scored the first goal with an opportunistic effort. Was brought down in the box by Alonso to win the penalty as Sigurdsson notched up the second goal. David Luiz kept him quiet in the first half. Used his physicality well in the second half to find openings but could not get the shot on target. Held off the opposition well as he sat deep in the midfield to ward off Chelsea attacks. Tottenham Hotspur Eyeing A Move For This English Winger: Good Fit For Spurs? Manchester United Plotting A £70m Deal For Real Madrid Midfielder: Right Choice For The Red Devils? 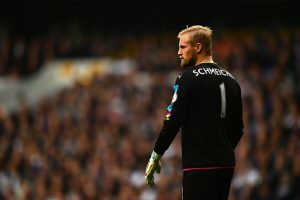 Chelsea Interested In 25 Y/O Stoke City Defensive Ace: Ideal Replacement For Courtois? Chelsea Suffer A Jolt As Club Refutes Their Claims! Conte Wants This Star Belgian At Chelsea: How Does This Attacking Midfielder Fit In? Chelsea Eye This 20 Year Old Brazilian Forward: Does This Deal Make Any Sense At All?